If You Don't Eat After 6 P.M. Will You Lose Weight? Skipping late-night snacks could help you lose pounds. Shunning food after 6 p.m. could help you lose weight if it lowers your overall calorie intake -- but that's a pretty big "if." Curbing night eating is by no means a sure-fire solution for weight loss because your body doesn't see the difference between a calorie eaten at 7 a.m. or 7 p.m. Total calorie intake and activity level dictate weight loss, not the time of consumption. Weight gain doesn't happen overnight. 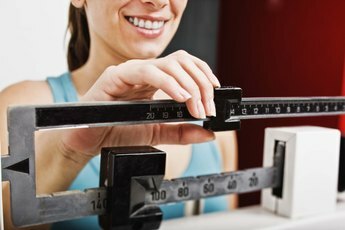 What you eat over the long term -- days, weeks or longer -- determines whether you gain or lose body fat. Therefore, it doesn't matter whether you are active just after eating or you fall asleep for hours. That said, skipping evening snacks can help you lose weight if it prevents overeating; if you tend to binge on fatty or sugary foods in the evening, then setting a specific time to lock the fridge each night could help you consume less. Rather than relying on the clock to slim down, monitor how much you eat. Sedentary women use roughly 1,800 to 2,000 calories per day, while moderately active women use 2,000 to 2,200 calories and highly active women use 2,200 to 2,400 calories. By eating 500 fewer calories per day than you use, you will lose around 1 pound each week. Just don't eat fewer than 1,200 calories in a day or else you're likely to become undernourished. Fewer calories translates to fewer nutrients if you're not careful, so fill up on healthy fare. Fruits and vegetables should make up half of every plate, while grains and proteins should constitute the other half. At least half of your grain selections should be whole grains such as whole-wheat pasta, buckwheat noodles and corn tortillas. Choose lean proteins such as beans and fish, which have fewer calories than fatty meats and cheeses. Healthy dinner options include quinoa salad with spinach, tomatoes and black beans, or veggie stir-fry with tofu over brown rice. If you do snack at night, opt for healthy choices such as low-fat cheese, or apple slices with a teaspoon of peanut butter. When the nighttime munchies hit, do something active to forget about food and stay on track for weight loss. 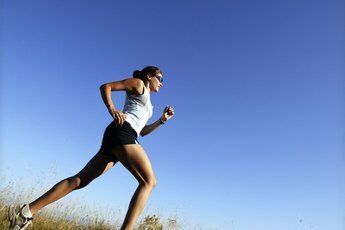 You should engage in moderate aerobic activity such as walking briskly, biking or dancing at least 2 1/2 hours per week. More vigorous activities such as running or swimming laps are even more effective -- but even just a walk after dinner will help. You also need to perform strength-training exercises such as lifting weights, crunches and squats. These activities build muscle tissue, which burns calories even at rest. Perform strength training at least twice weekly, targeting arms, back, stomach, chest, buttocks and legs. 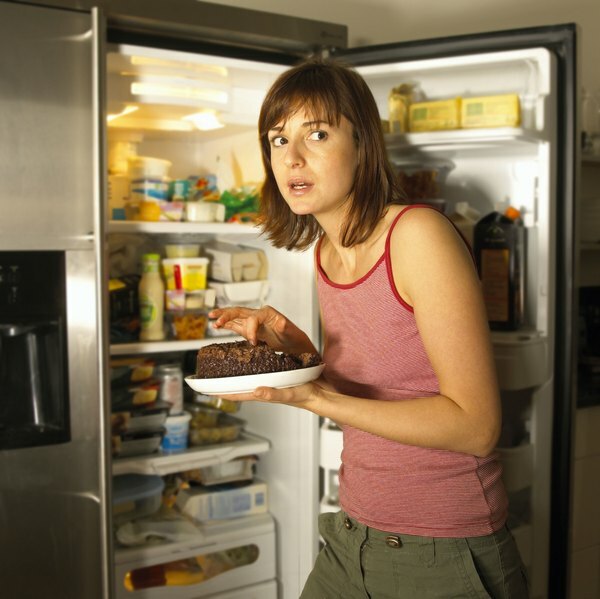 Go Ask Alice: Eating at Night = Weight Gain: Myth or Fact? What Do You Need to Do Every Night to Have a Flat Stomach?